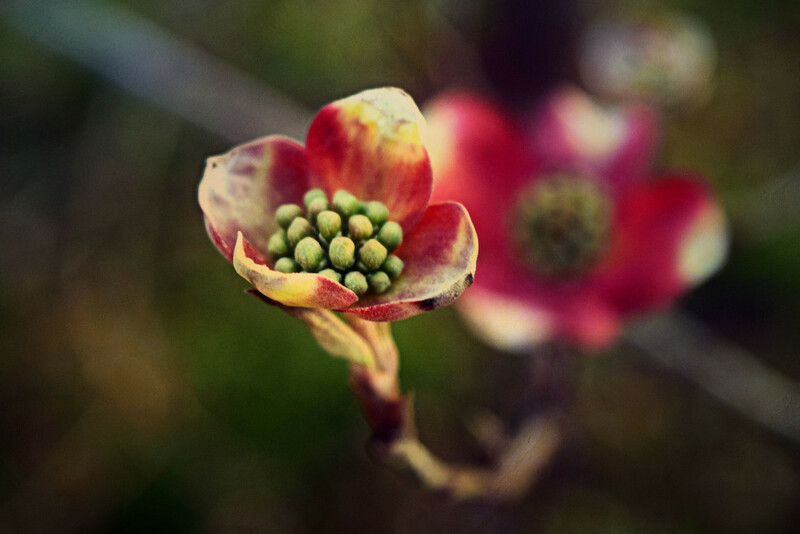 2018.04.03 Tuesday: The blooms on our Cherokee Red Dogwoods are beginning to open. I will always be partial to White-flowered dogwoods, but I am glad that we have room in our yard for both colors of blooms! Fabulous capture Dinah. I’ve never seen this before. I am partial to the white ones too- but I also like the red. I wish I had a Dogwood or two in our yard. Maybe this Spring I can convince my husband to find a small one in the woods to bring home.